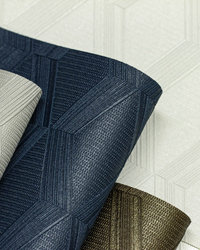 Watch our Jetta Wallcovering Video. Influenced by the work of distinguished Dutch artist M.C Escher, the deeply textured pattern of Jetta plays with light and shadow to contribute a tactile sense of depth and dimension. Exclusively from LEVEY. Available in a palette of 18 sophisticated colour variations, Jetta is comprised of a deeply embossed geometric print that creates a visual effect of 3-dimensional ascending and descending boxes. 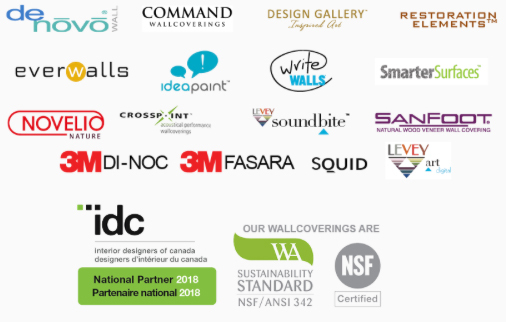 This 28 oz addition to our DeNovo Wall collection of Type II Commercial Vinyl Wallcoverings offers supreme durability and wall protection for even the most demanding of high traffic commercial projects. Passes the high fire safety standards of ASTM E-84 required for public environments.